Contents of the Package: -Microsoft Windows 2008 Server Re-installation CD (Dell version) works on all brands of systems or custom built systems. The media is a re-installation CD, but it installs the complete program on any computer. -Unique Product Key with certificate of authenticity which will validate with Microsoft This software is 100% genuine and will validate with Microsoft. The software is new sealed OEM. 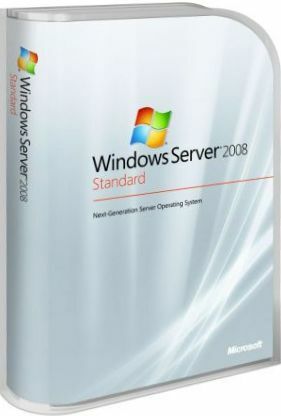 Windows Server 2008 R2 is the most advanced Windows Server operating system yet, designed to power the next-generation of networks, applications, and Web services. With Windows Server 2008 R2 you can develop, deliver, and manage rich user experiences and applications, provide a highly secure network infrastructure, and increase technological efficiency and value within your organization. Please note that the new R2 version does not support 32-bit (x86) processors. IA64 or x64 architecture is required. Windows Server 2008 R2 builds on the success and strengths of its Windows Server predecessors while delivering valuable new functionality and powerful improvements to the base operating system. New Web tools, virtualization technologies, security enhancements, and management utilities help save time, reduce costs, and provide a solid foundation for your information technology (IT) infrastructure. Note: Actual requirements will vary based on your system configuration, and the applications and features you choose to install. Processor performance is dependent upon not only the clock frequency of the processor, but the number of cores and the size of the processor cache. Disk space requirements for the system partition are approximate. Additional available hard disk space may be required if you are installing over a network.